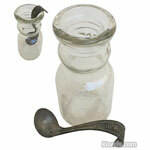 The weather is still cold in a large part of the country, but collectors and antiques lovers still have flea markets to explore. 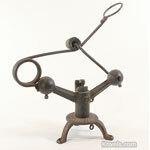 Kovels.com lists 7 indoor favorites that are worth a trip. From one-of-a-kind vintage clothing to rare antiques and quirky collectibles, all are overflowing with treasures waiting to be found. 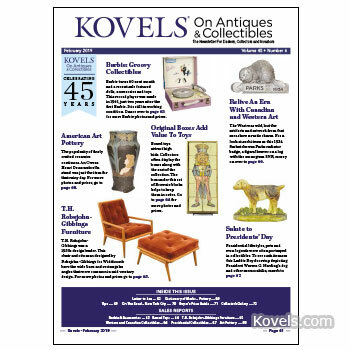 The just-released Kovels On Antiques & Collectibles February 2019 newsletter features Barbie & accessories, Robsjohn-Gibbings furniture, Western & Canadian collectibles, antique toys with boxes, presidential collectibles and art pottery, all with information, photos and prices. 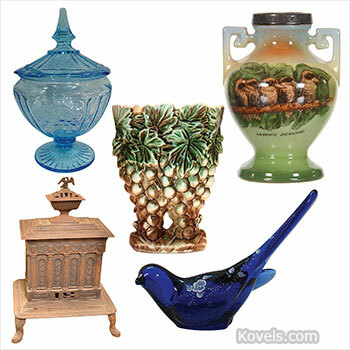 Kovels has released its list of the most searched antiques and collectibles in its online price guide during 2018. 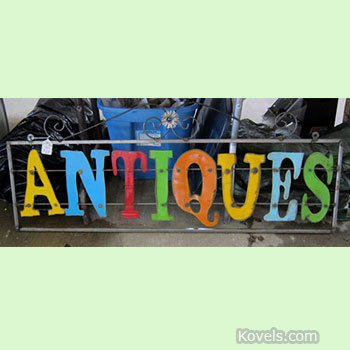 With over 1,000,000 prices, Kovels.com is the largest free online price guide for antiques and collectibles.